Connecticut is known for a few different things. First of all, it is the first state to have ratified the constitution. It is also called the Nutmeg State because in colonial times, merchants would go around selling fake wooden nuts as nutmegs. This practice caused Connecticutians to be called Nutmeggers, earning the state it’s nickname. 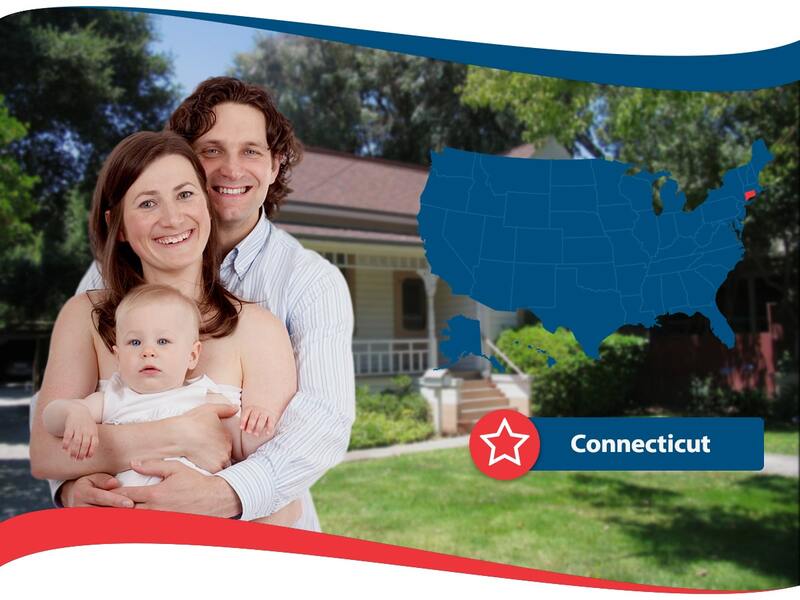 Home Insurance Connecticut isn’t too hard to come by. There are a lot of homeowners in the state, and there aren’t very many destructive natural disasters except for a few hurricanes and nor’easter storms in the winter. The reason why home insurance prices are slightly higher than the national average is because the home prices are a bit more. This makes sense for a state that is known for having the highest per capita income. One important thing to consider for CT home insurance is that a big issue in this state is crumbling foundations because the houses tend to be older. Some of these insurance plans have special inclusions for crumbling foundation reimbursement. Connecticut’s capitol, Hartford, is known as the insurance capitol of the world, so it makes sense that you’d be able to get some great insurance here! Experience what the state is known for by getting home insurance. Chubb is a unique home insurance company that only insures homes over the value of $1 million. Chubb is pretty exclusive. They don’t give out any information unless you get a quote from them, although they do have some information available online about how you can protect your house from things that happen in Connecticut like strong storms. They have great customer service as you would expect from a company that works for people who have a lot of dough. The Travelers Insurance company is a figurehead in the Hartford skyline. The umbrella logo is very visible from afar. Not only do they have a great logo but they also provide quality insurance. They have the most affordable plans in CT by some standards. They have plenty of unique discounts including ones for environmental certifications on buildings. One thing that is unique in a negative fashion is that they do have a list of dog breeds they don’t really approve of, which could drive your costs up. State Farm is a great company that offers policies in pretty much every state. They’ve got a great track record of reliability. They are an agent based company so you would work with a local agent who knows the needs of people in CT. Their website has a wealth of information about how homes are valued and ways to protect your home from extreme weather conditions. They may not be the cheapest option but they have great service and really care about their customers. Liberty Mutual is the largest provider of homeowner’s insurance in Connecticut. They have about 12% of the market share in the state. They are popular because they have lots of great options for discount. They even offer one for higher education and another one for green homes. Both of these discounts are quite unique. They are great because they don’t make you talk to an agent in order to get a quote. They also have a great blog which gives tons of homeowner tips. It’s clear they really care about their clients and customers. These are just a few of the options for home insurance Connecticut. If you want to get your own policy you will need to research the best one for you online. Luckily we provide plenty of information that you can read to find out about the latest homeowner’s insurance offers in Connecticut.